If there's one genre the DS never got quite right it's the humble shoot 'em up: while Nanostray and sequel Nanostray 2 were decent outings, they were merely stars in a dark night. 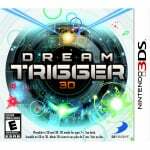 3DS might not suffer the same fate if D3Publisher has its say, as the company announces Dream Trigger 3D for 3DS. An arcade-style shooter that lets players use sonar to identify enemies and blow them up, this could be a welcome addition to the 3DS's line-up. There are currently no images or videos for the game, but we'll pass them on when they arrive. 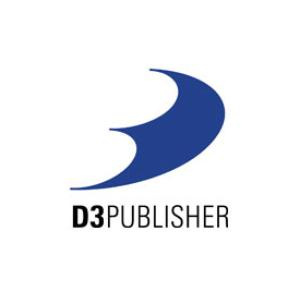 LOS ANGELES--(BUSINESS WIRE)--D3Publisher (D3P), a publisher and developer of interactive entertainment software, confirmed its support today for the Nintendo 3DS™ handheld system and announced Dream Trigger 3D. Dream Trigger 3D is a completely original arcade shooter in which players use sonar to detect sound to expose colorful enemies and blast them into explosive 3D patterns. The introduction of the new Nintendo 3DS system will allow players to experience an arcade shooter with a whole new visual perspective never before seen on a handheld. Dream Trigger 3D features over 50 stages that will hypnotize players with a seamless combination of stunning visuals and explosive arcade shooter action. The visuals are set to a dynamic multi-track musical score providing an unparalleled immersive experience as players destroy enemies, dodge attacks and move through a variety of layered environments that explode off the screen in 3D. Dream Trigger 3D is under development by Art Co. Ltd. and is currently rated “RP” (Rating Pending) by the ESRB. Neat, now lets hope it plays well enough. I hope it's good... I always wanted more shmups on my DS. This sounds good and isn't omega five that hudson announced for the 3ds a shmup? ^Yes it is. But I think it's 3DSware. If it's 3dsware then it's the only 3dsware game announced so far. Hopefully this means it will be a 3dsware launch game. Sweet, I will be keeping my eye on this one! "An arcade-style shooter that lets players use sonar to identify enemies and blow them up,"
That's one cool mechanic for a shoot-'em-up. If devs get the graphics, controls and online play right, shmups on 3DS could be fantastic. Never enough good shooters! These games are perfect on a handheld even better with a actual slide pad.